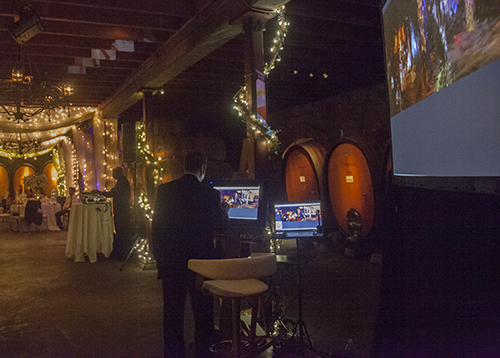 In October I painted live at Lisa and Alessandro’s wedding in the beautiful Cellar Room of V. Sattui Winery, Saint Helena, Napa Valley, California. You can see photos below of the scene as I worked throughout the festivities, capturing the wonderful atmosphere and joy of the celebration! 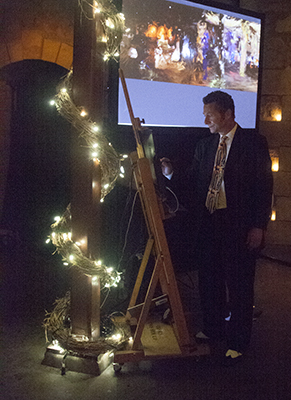 My live painting was created by hand using state of the art digital paint tools: Corel Painter 2015, a Wacom Cintiq pen tablet display and large projection screen. 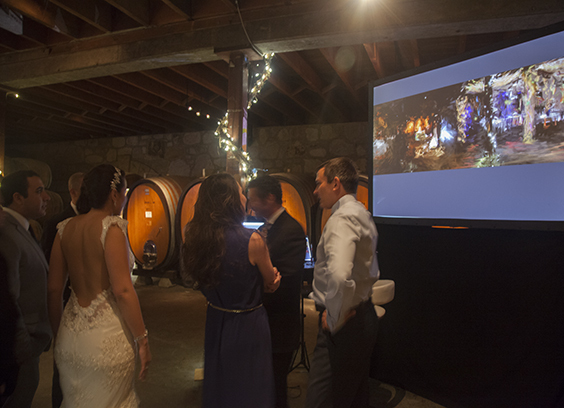 The celebrants enjoyed seeing how the painting developed and unfolded over time. Some of them became part of the painting. 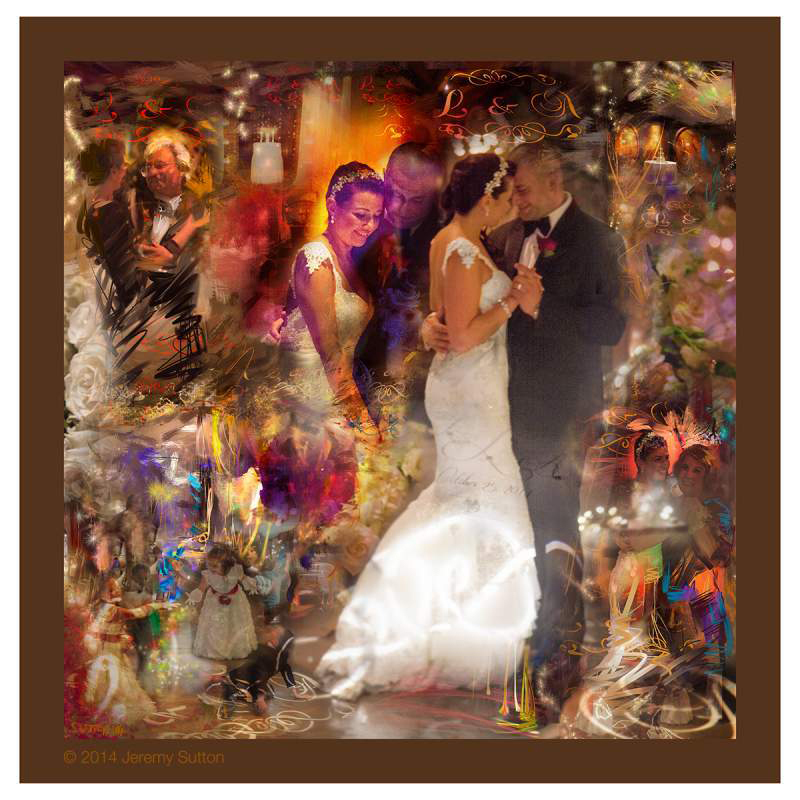 After the wedding I continued working on my painting, incorporating imagery I had captured during the wedding and built up a magnificent wedding day collage painting that captured the joy of the occasion, plus special moments like the first dance and the wedding cake cutting, in a single artwork. You can see the final result at the top of this page. Hanson and Annette Wedding Day Collage Painting is another example of a wedding day collage painting. 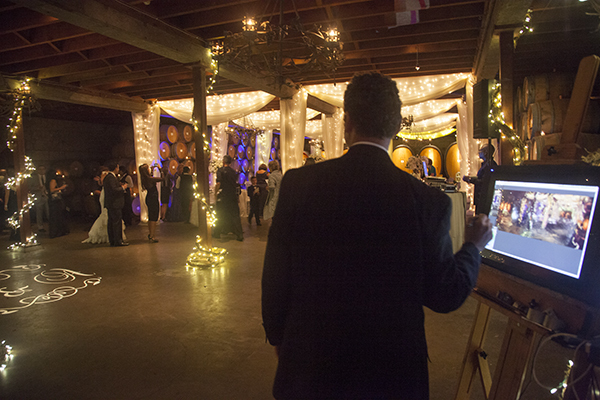 Please email me if you would like me to paint live at your wedding and then create a unique collage painting of your special day.